The Girl decided on her Halloween costume early this year (thank goodness). 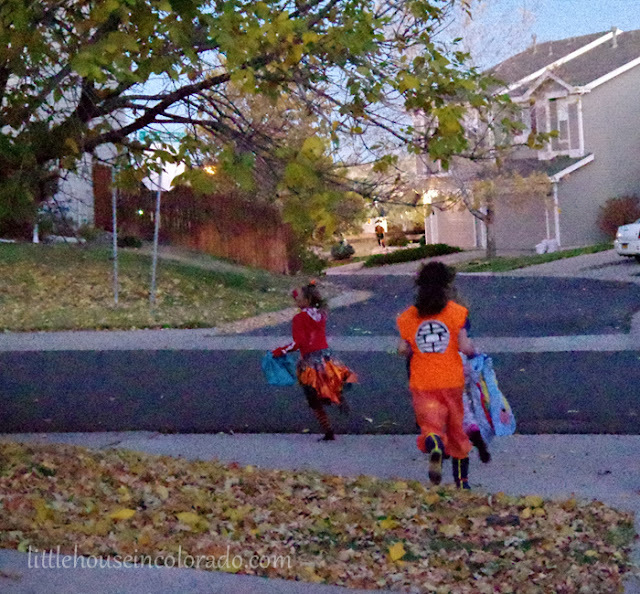 She wanted to be Goku from Dragon Ball Z...minus the excessively bulging muscles and spiky hair. Goku has a blue shirt underneath the top of his jumpsuit. 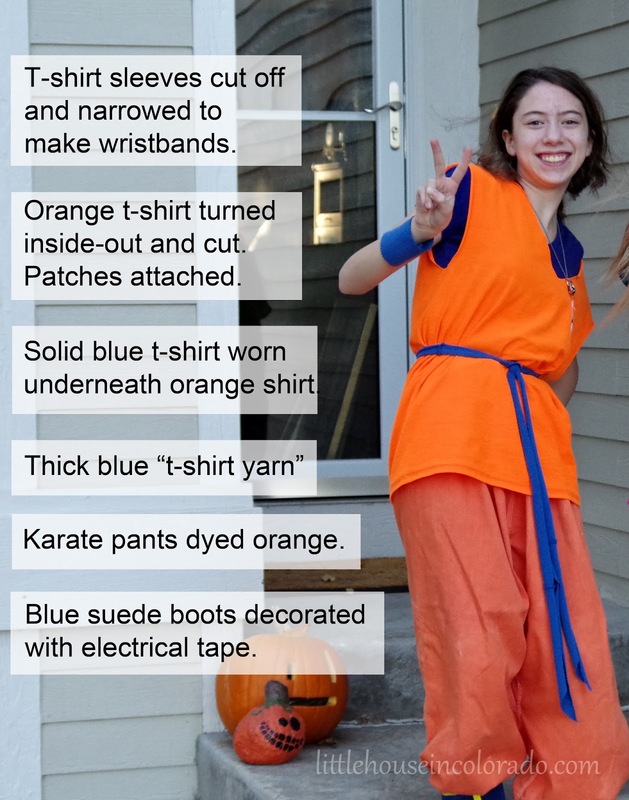 The Girl planted to wear a blue t-shirt but the jumpsuit would be in 2 pieces rather than one - an orange oversirt and orange pants. 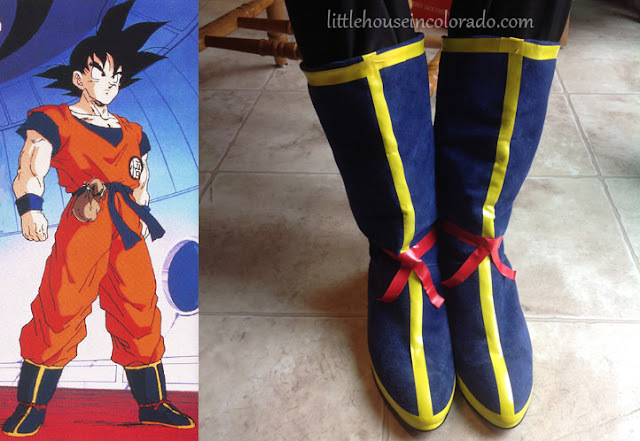 The decoration on the orange overshirt was a little more involved than the boots but was not difficult. There was a small patch on the front of the shirt and a large one on the back. 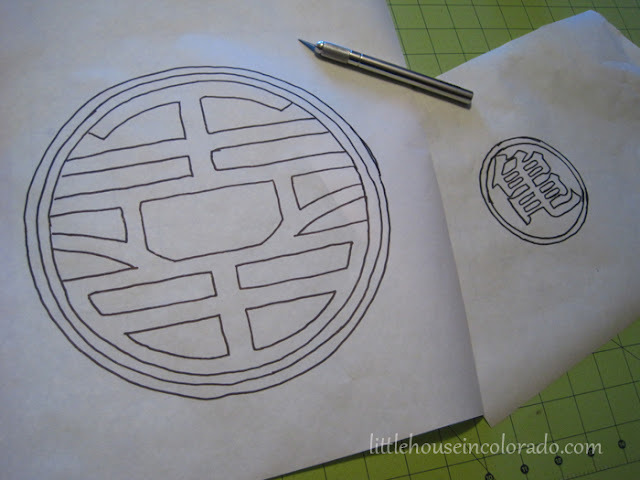 This project would have been easier if I could have simply printed a design onto iron-on transfer paper or if I had a cricut and fabric vinyl. I didn't have either so we found another way. We're very pleased with the results! An orange shirt (we turned ours inside out to hide the previous screenprinted design on it). Be sure you don't want it for anything else because it will be cut and patches sewn or glued on to it. 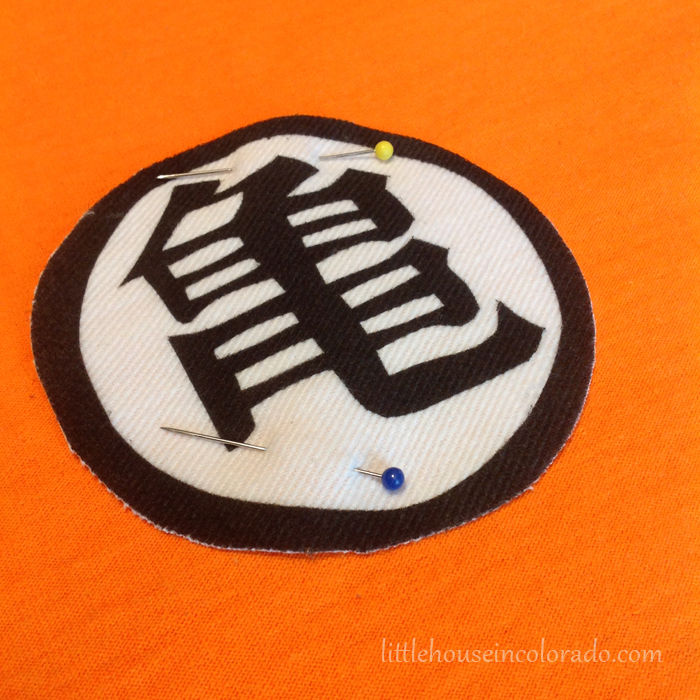 First, cut the sleeves off of your orange t-shirt and trim the neckline to resemble Goku's orange shirt as shown in the picture. Set the orange shirt aside until later. 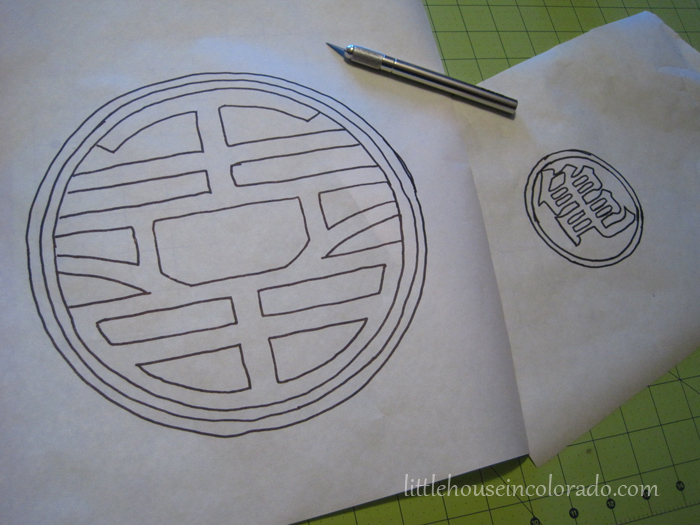 Draw out the design on freezer paper (the non-shiny side). 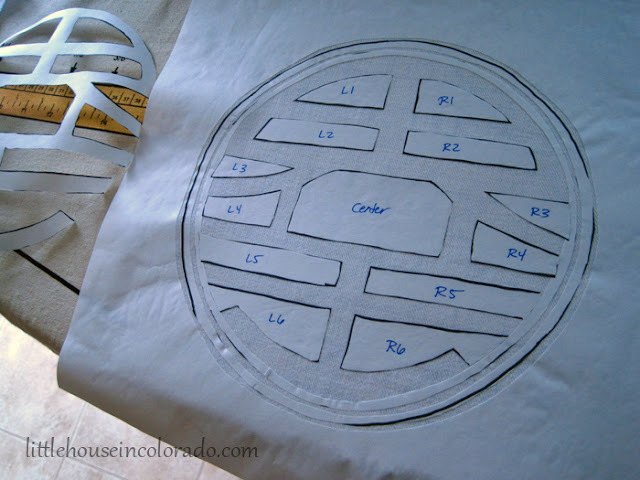 Next, cut out the pieces using your Exacto knife and/or scissors. 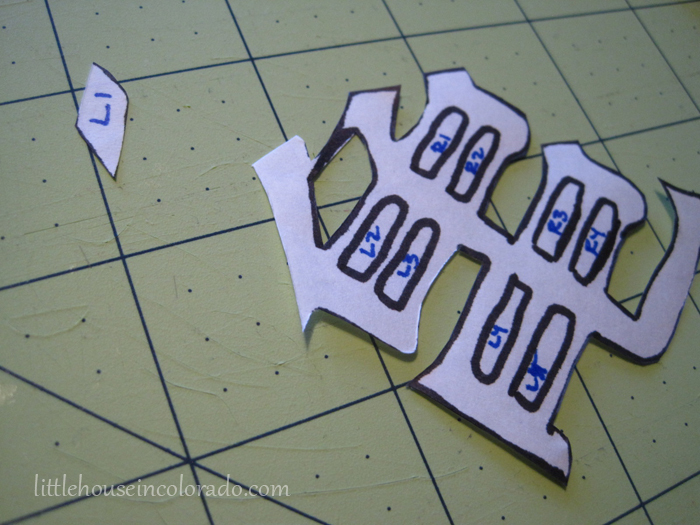 Here, you can see that I numbered the pieces in their placement order so I would place them correctly on my fabric. 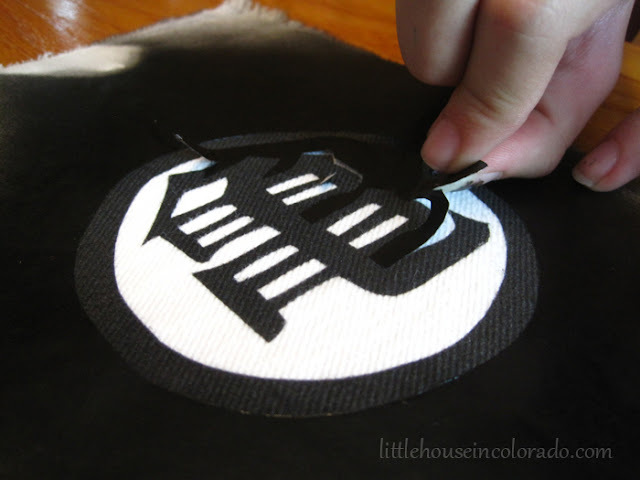 Carefully place the pieces of your stencil on your fabric (shiny side down). 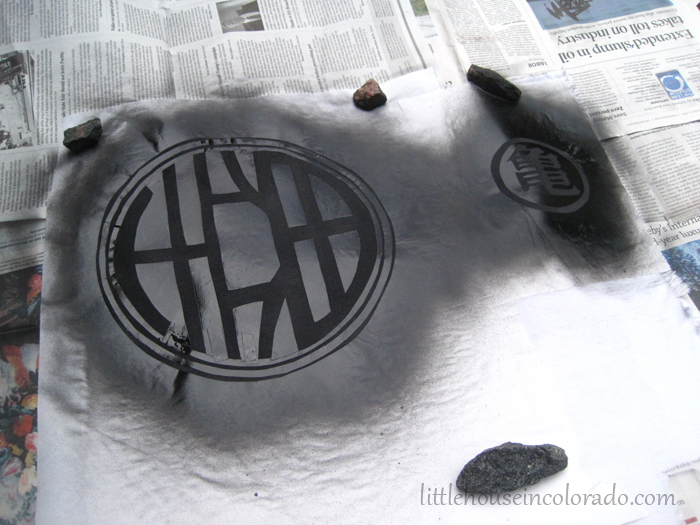 Once dry, you can remove your stencil. 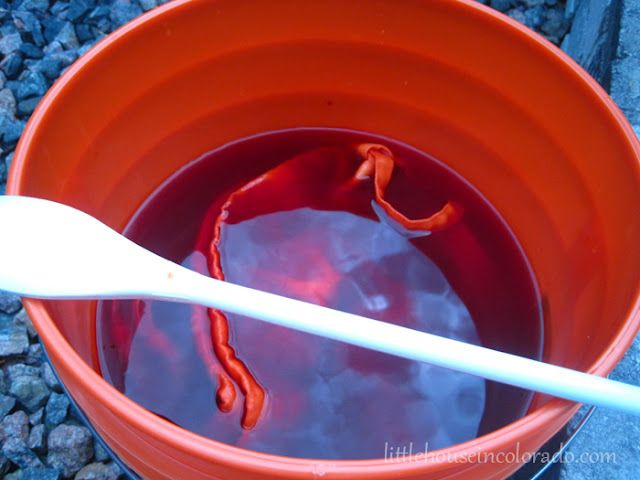 It peels away easily from your fabric. 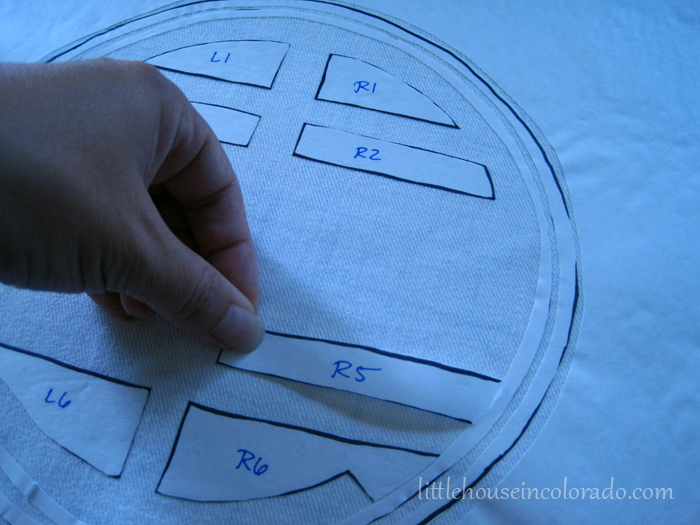 Then cut out your design and stitch in place on the costume. The pants were made with a pair of karate pants from the thrift store that we dyed with RIT dye. Orange scrubs would have been PERFECT but we couldn't find any. 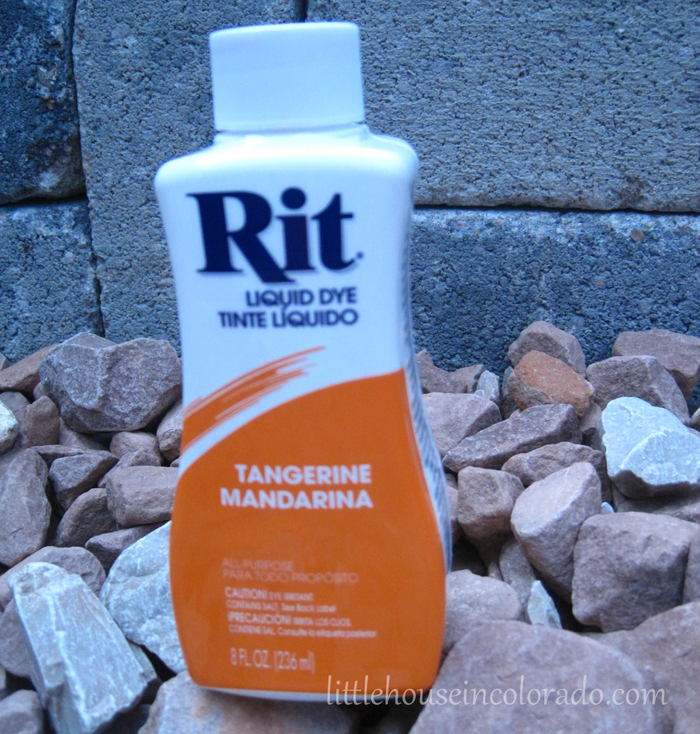 We used Tangerine RIT dye. It produced the PERFECT bright orange! Just be sure to follow the directions, stir the mixture often (so the fabric is colored evenly) and let it sit for a long while to get a really deep, rich orange. For the wristbands and the belt, we took an old blue child's t-shirt and cut it up. The sleeves were cut off and The Girl stitched them smaller so they would fit her wrists. For the belt, he bottom portion of the t-shirt was cut into wide t-shirt yarn and stretched until it curled in on itself. You can search up t-shirt yarn tutorials. There's a good tutorial at Mollie Makes on how to make your own t-shirt yarn. I am only now realizing I took gobs of photos during the making of the costume but am woefully lacking in pictures of the finished costume.